Choose type of message (Standard or notification). 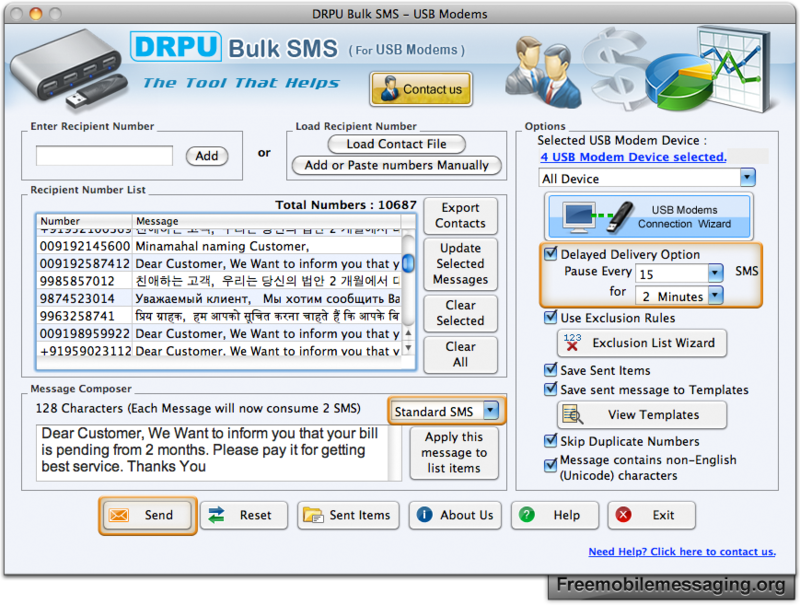 Select features from right panel that you want to use, then click on send button. 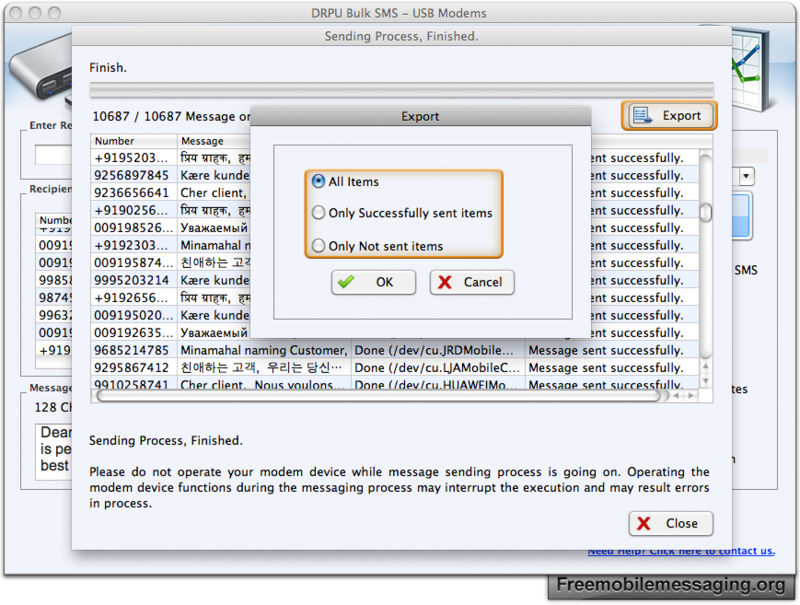 After completion of sms sending process, export option will be enable at top right corner to export sent messages for future use.